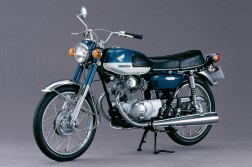 In the early 1960s, “displacement tots” were the ‘bread-and-butter’ business of the Japanese motorcycle manufacturers. But the times changed rapidly. 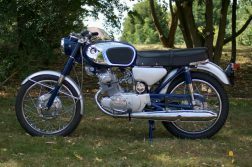 With the “Black Bomber” Honda dared in 1965 in a completely new motorcycle terrain and the „arms race“ came to no end during the next years. 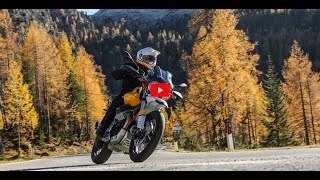 Today, motorcycles with less than 250 cc displacement not only in the old-timer segment are rather the exception than the rule. 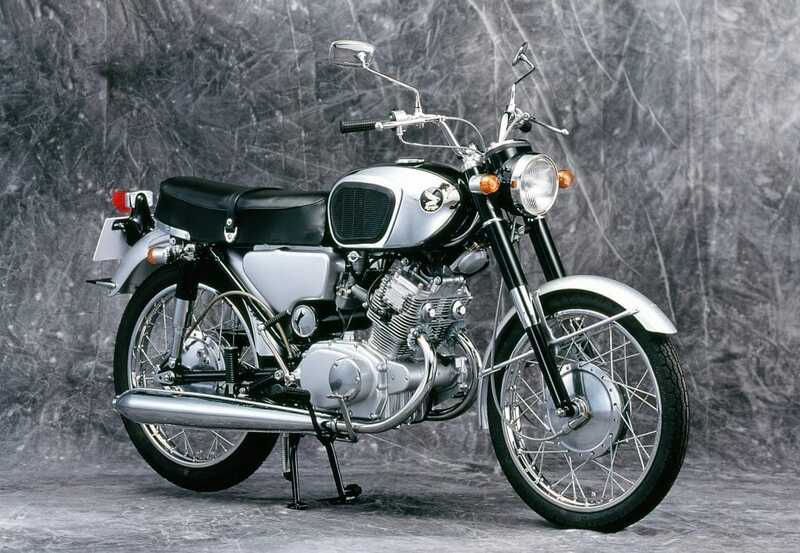 The Honda CB160, debuted also in 1965, still goes one step further, because in Germany this motorcycle was and is the ‘small stranger’. 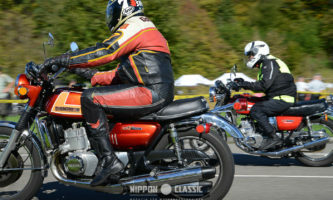 With 125 and 175 cubic centimetres Parallel-Twins Nippon’s leading manufacturer celebrated considerable success in Germany, but the segment in between them remained mainly reserved for the anglo-saxon market. 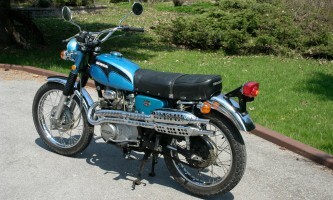 Nevertheless, pure externally the Honda CB 125 and CB 160 were alike uniovular twins. Unlike their larger cousins, the CB160 took the concept to the 360 crankshaft layout from previous, small parallel twin models. The air cooled two-cylinder four-stroke engine with 161 cc displacement has a six millimetre larger bore (50 mm) than the 125 cc twin. Both, however, share a stroke of 41 millimetres. From the slightly larger displacement mainly benefited the torque, because the output increased by just 10 percent to 16.5 hp at 10,000 rpm. 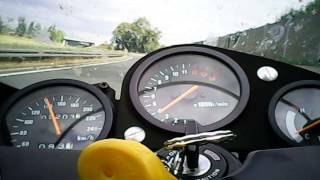 For this, the torque increased from 10.4 to 12.2 Nm (+ 17%) and was the Honda CB160 already 700 tours earlier at 8,500 rpm. With an improved power to weight ratio, the „Baby Super Hawk“ – as they called by Americans – picked up on a slightly higher top speed of 135 km/h unless a heavier rider crushed out this advantage. And in America, always the quarter-mile is the ultimate reference, which mastered the little Honda CB160 in respectable 18.6 seconds. 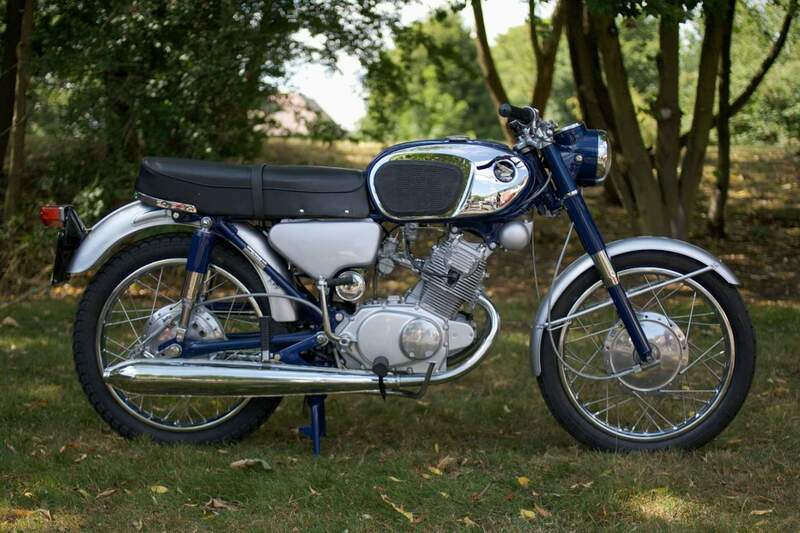 Of course, the CB160 could never compete with a Harley Davidson, Norton or BSA. But for thousands of “motorcycle freshmen” it was the ideal entry into the world of „real“ bikers. 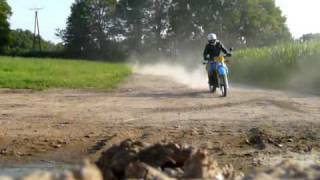 And so, that freshly baked graduates did not starved on a kick starter, the Japanese equipped the CB160 with a comfortable electric starter, which was obviously placed in front of the crankcase. 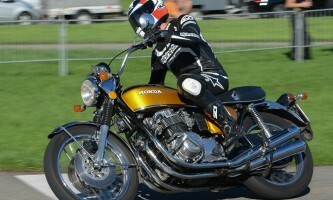 Identical to the CB125, Honda CB160 didn’t surprise with any additional technical features. The light-alloy engine had an overhead chain-driven camshaft (SOHC), two valves per cylinder and a claw-shifted four-speed gearbox. 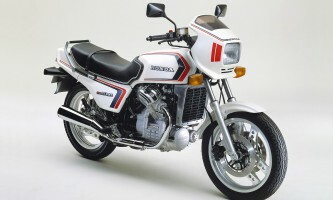 With a four-bearing crankshaft, the CB 160 engine proved despite high rpm to be astonishingly robust. 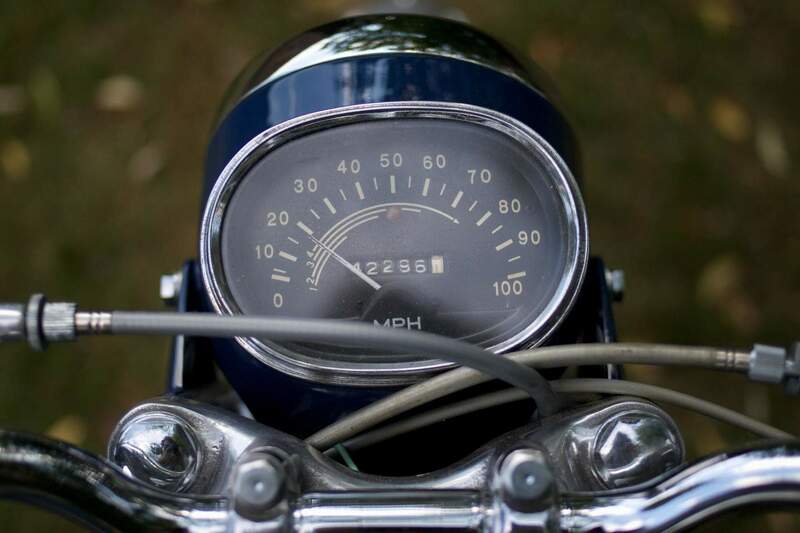 Visually and technically the CB160 marks the crossroads between „ancient“ and „modern“. 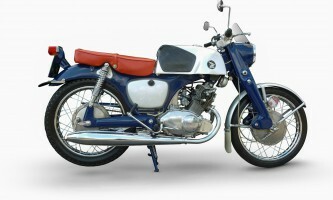 In the mid-1960s, Honda disbanded from the hitherto proven pressed-steel monocoque frame. 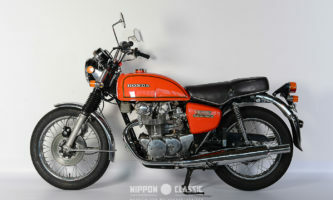 Then, in 1965, Honda’s new models crowed with a steel pipe frames, at first below openly and from 1969/1970 with double girder. The parallel twin engine, inclined by 30 degrees to the front, was hanging in the frame and act as load-bearing part. And a modern telescopic fork replaced the short wing in front. 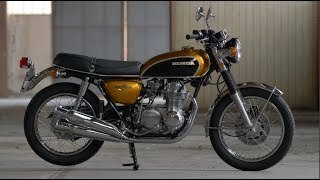 Furthermore, the Honda CB160 featured with a 18-inch chassis, at the front with an effective duplex drum brake, at the rear with a cable-operated single drum brake for deceleration of the 127 kilogram load. Separate struts for attaching the passenger footrests increased driving comfort for the passenger. 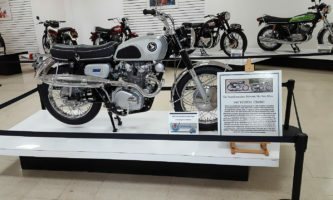 On the other hand, there were still chrome cheeks on the tank, embedded in the spotlight instruments and silver-painted fenders, the last replaced by chromium-plated versions only years later. 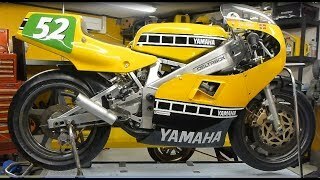 Today the platform strategy of the Japanese pleases old-timer collectors the more, because the majority of the parts of CB 125 and CB 160 is identical, which facilitates the procurement of spare parts. 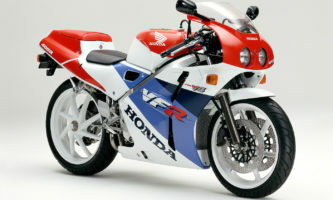 On the other hand, Honda often modified parts within the series. So it is not unusual that, for example, within a K2 two different fork bridges were used. 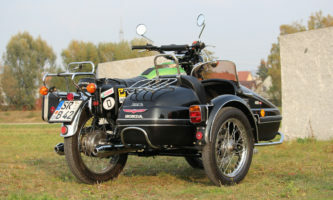 Until the fork bridges of K1 were deplered in the K2 model, Honda made no new parts, which in turn improves and just were incorporated with other measurements in the series production. Here every old-timer collector can tell horror stories of own restorations. Meanwhile, prices for the Honda CB160 draw in the US at something. 3,800-4,000 US $’re a proud little sum for such a small machine and mark the upper end of the flagpole. Original spare parts can be found mainly in America and UK. 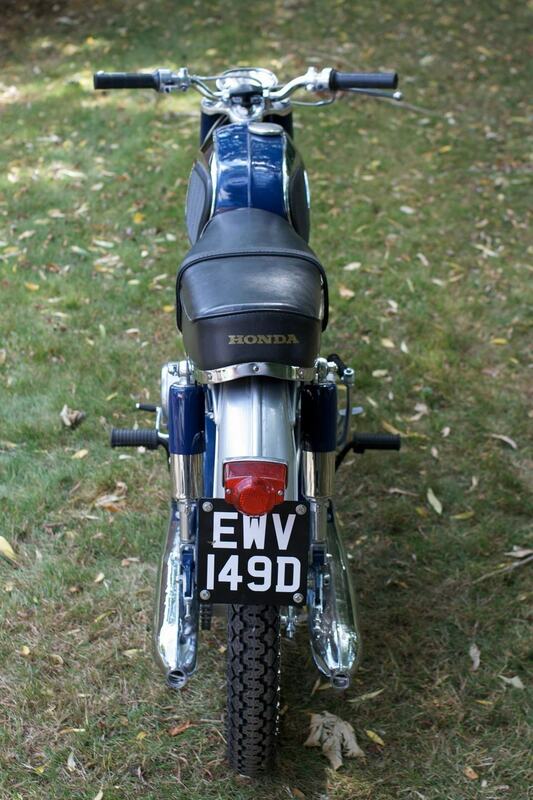 Who wants, can fall back even on favourable repro parts from Thailand, as in the rare exhausts.